Whether you operate a blog, a business, an ecommerce shop, or anything in between, you need to start a mailing list today. Who knows how much site traffic or customers that you are missing out on by not having a mailing list. Here are 4 reasons you should start a mailing list today. How many times have you visited a website, loved it, but then completely forgot about it few days or weeks later? Chances are, this is happening with people on your site as well. With a mailing list, visitors can sign up to be notified of news, sales, updates, etc. This helps to ensure that you’re reaching a larger audience. 2. Start a mailing list, send newsletters, get conversions. People are constantly checking their email, and you don’t want to miss the chance of being in their inbox when they do. By starting a mailing list and sending out a monthly (or weekly) newsletter you will reach potential customers right in their inbox. Learn how to craft a successful newsletter and start converting those email signups into sales or visitors! Your blog or online shop probably has a good bit of repeat and new visitors, but with a mailing list you can expand your reach exponentially. If you write good content, provide a great product/service, or offer an incentive, building your mailing list into the hundreds or thousands of followers may be easier than you think. Furthermore, once your list starts really expanding, it gets easier to gather even more signups. Current list members forwarding and sharing your Newsletter or emails can really help to pick up steam. 4. It’s a lot easier than you think. Building a mailing list may seem like a daunting task, and while it does take a lot of work to reach a large audience, they are super simple to set up and manage. 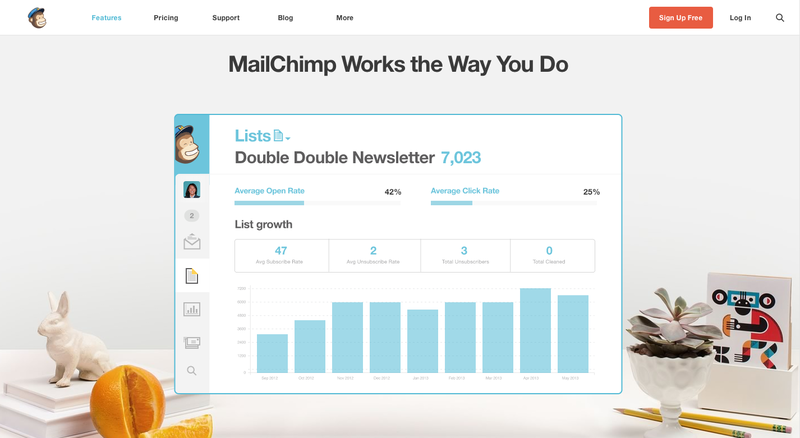 Tools like MailChimp and Campaign Monitor make it a breeze to create and manage lists, set up signup forms, and get the ball rolling. There you have it. 4 good reasons to start a mailing list today. Need a newsletter or email template designed? Contact Tilted Square to get started.